Charles Jefferson Hunt served in the Mormon Battalion as Captain of Company “A” and as assistant executive officer, in its historic march from Council Bluffs, Iowa to San Diego, California, 1846-47. His service won the commendation of all who served with him. 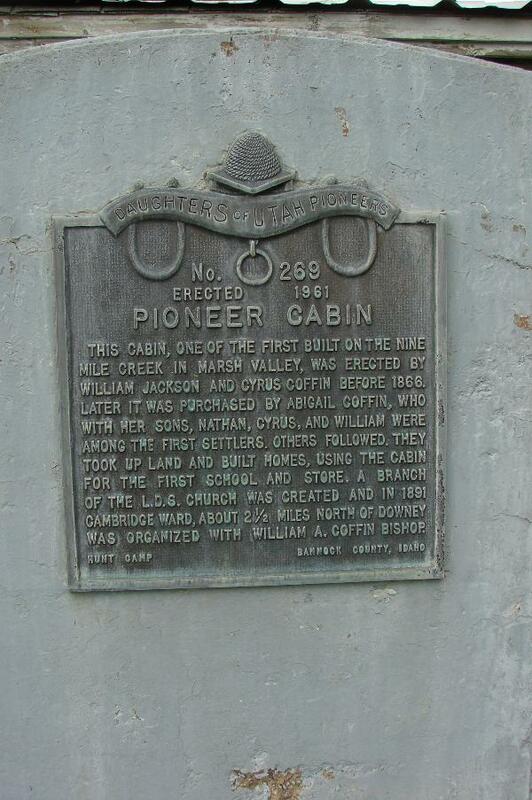 Under appointment by President Brigham Young in 1851, Captain Hunt was guide for the pioneers to San Bernardino, California.. His pioneer service included also Provo, Parowan and Huntsville, (which bears his name) in Utah, and Oxford, Idaho. A convert to the Church of Jesus Christ of Latter-day Saints, he was loyal, obedient and faithful to the end. William Jackson and Cyrus Coffin before 1866.
was organized with William A. Coffin Bishop. 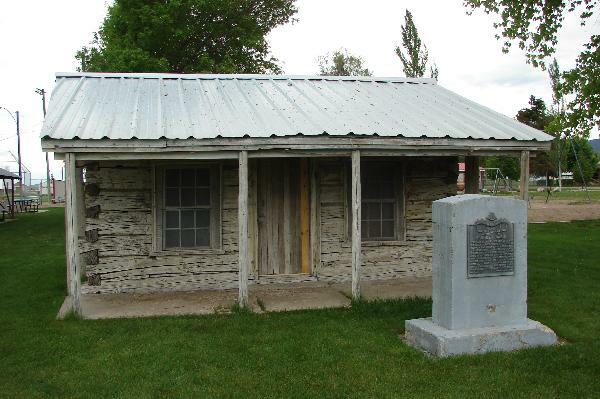 July, 1864, A company of explorers were sent to Idaho by President Brigham Young to locate suitable places for settlements. The same year Noah Brimhall and John Boice built the first home in Oxford. William G. Nelson, George D. Lake, and George D Black were presiding Elders until 1876, when William F. Fisher became the first Bishop, Mr. Fisher, noted express rider, erected this building 1876 for his law and mercantile business. Oxford, one of the first settlements, was for years the main trading center north of Cache Valley.